Heading to Prince Rupert, BC? 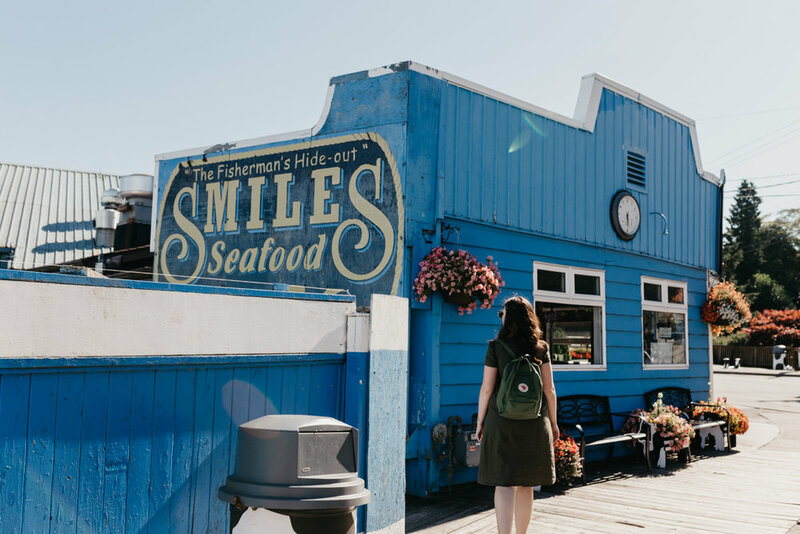 Whether you're looking for places to eat or things to do in Prince Rupert, this travel guide is for you! When you think about gorgeous places to visit in British Columbia, there's a lot of options, and usually you hear about the islands, the Lower Mainland, or the Okanagan. But what about Northern BC? This was our first time visiting Northern BC, but it definitely won't be our last! We loved the beautiful scenery, chill vibes, and it's a super affordable getaway. Where is Prince Rupert, anyway? 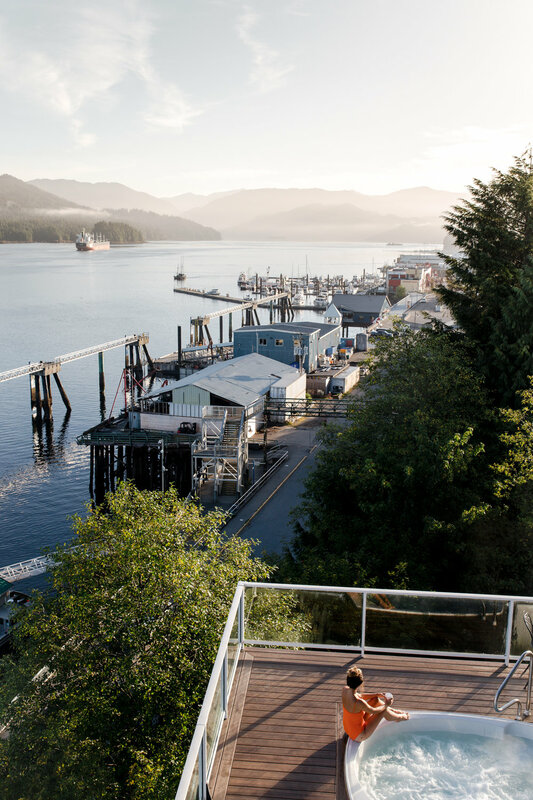 Prince Rupert is a small port city in Northern BC, and when we say north, we mean north. Not only did we literally see signs pointing to Alaska, we also got a little glimpse of Alaska while we were whale watching! But more on that later. While it may be the rainiest city in Canada, we had an absolutely beautiful weekend visiting Prince Rupert in the summer. 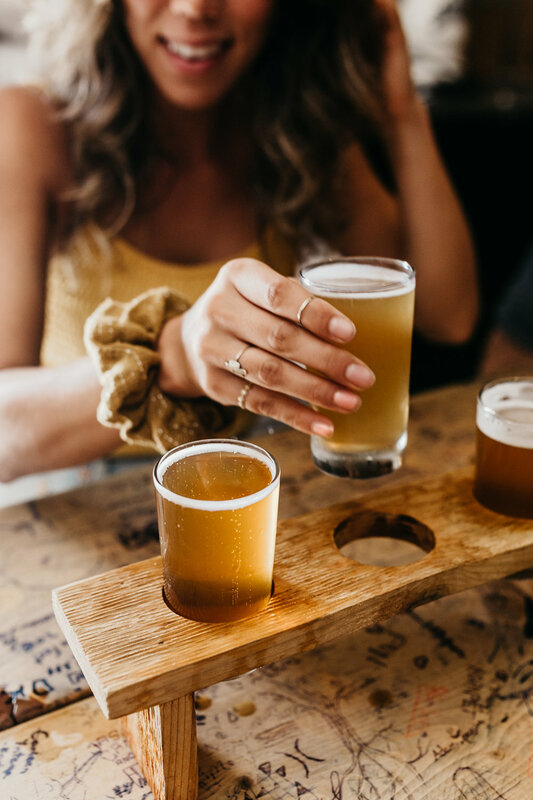 The town is only about 12,000 people, but there is really good food, a craft brewery, and lots of fun nature activities for every skill level, from whale watching or bear watching to hiking, fishing, and canoeing. Next time we visit we will definitely be renting a boat! Prince Rupert is a major port city (it has the deepest natural harbour in North America), so the town is very walkable and all centered around the boats of Cow Bay. This is where you'll find a lot of local gift shops, restaurants, and the local coffee shop. Cruise ships going to Alaska will pull in to visit, and if you're heading to Haida Gwaii you will travel to Prince Rupert first and then take a float plane! So even if you think it's just a stopover, it's worth it to stay and explore around for a day. We loved all of the quirky cow references, keep an eye out for lots of planters or bins painted in cow print! We are very happy to tell you that Prince Rupert has some seriously amazing food! Since the city is right on the water and it's a huge fishing town, you have to eat allllll the seafood when you're visiting Prince Rupert. Even the casual fish and chips place we stopped at turned out to be the best fish and chips of our life! Cow Bay Cafe is a great Prince Rupert restaurant for dinner, we were seated on the patio overlooking the harbour and it was so beautiful! We loved their fresh mussels and clams, and their pasta was surprisingly SO delicious too. Since we were so far up north, the sun sets way later, so you can have a full day of sunshine and enjoy the sunset around 9-11pm, depending on when you visit. How adorable is this restaurant?! 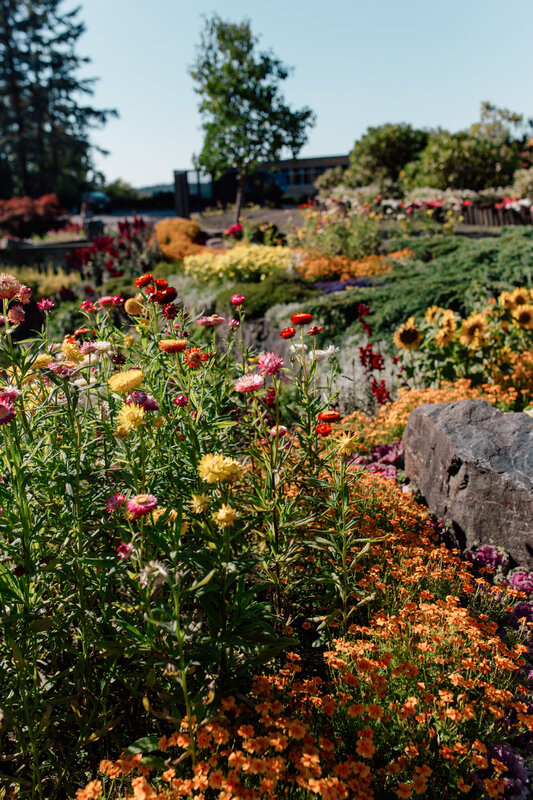 Another cool spot we discovered in Prince Rupert was the Sunken Gardens, which is a stunning community garden run by volunteers! It's definitely worth a little stroll to look at all the incredible varieties of plants and flowers. 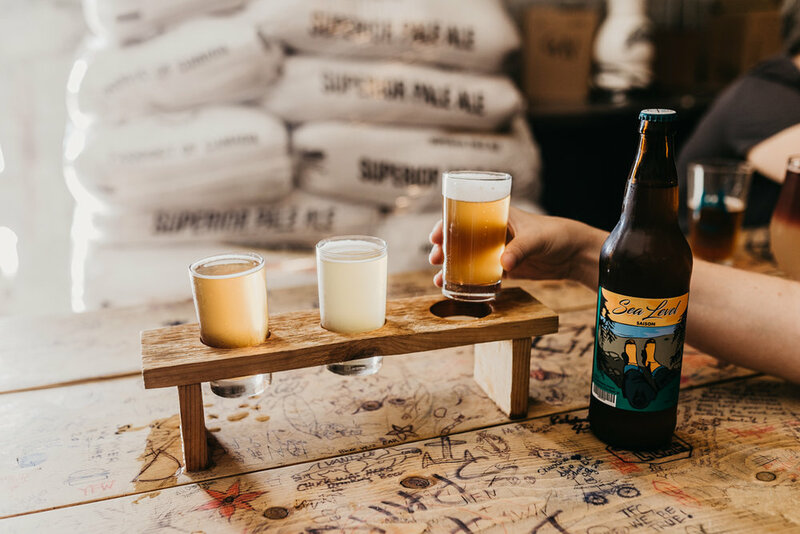 Now, you probably already know that we seriously love our BC Ale Trails, and we're delighted to tell you that there is now a Northern BC Ale Trail too, with breweries in Prince Rupert, Smithers, Terrace, and Prince George. We were thinking that for our next vacation to Northern BC, it would be fun to do a road trip through those towns with our guys! 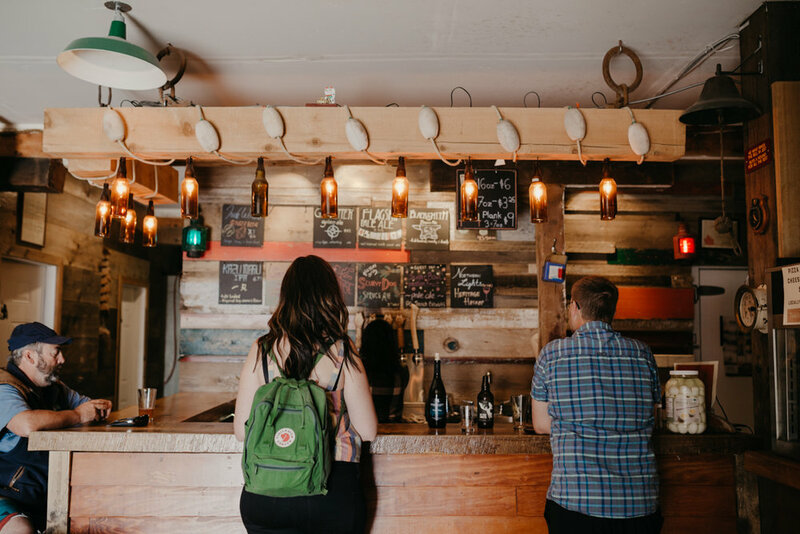 Wheelhouse Brewing is Prince Rupert's craft brewery, and they serve cider, wine, and kombucha too so it's a welcoming place for everyone. There's plenty of board games, lots of delicious beer (with some tap features as well), and a really chill, neighbourhood feel. All the locals in Prince Rupert were SO nice, it's easy to strike up a conversation anywhere you go. 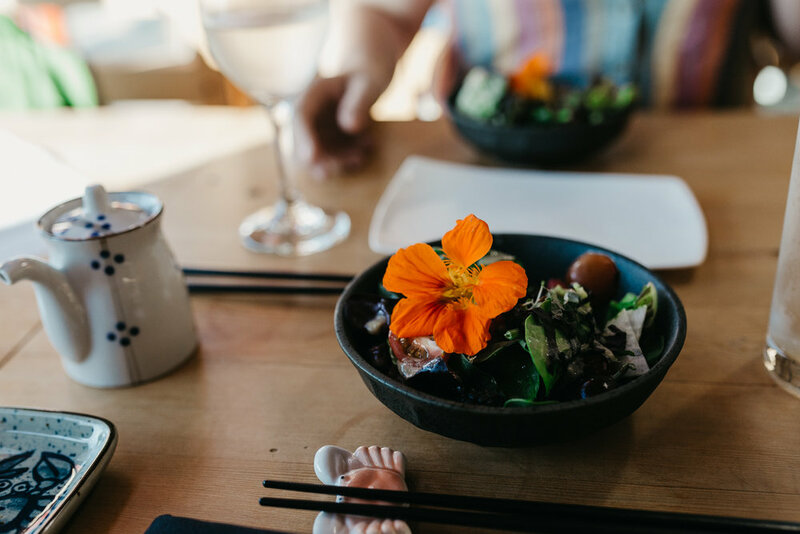 Another one of our favorite restaurants in Prince Rupert was the Japanese restaurant Fukasaku! Sushi is a great choice in Prince Rupert because all of the fish is just SO fresh, and Fukasaku was actually the first sushi restaurant in Canada to be 100% Ocean Wise certified. The restaurant is very unassuming, and you might not even know it was there because it's actually tucked away inside a gift shop! Fukasaku is all about local sustainability, and even the chairs and tables are made from local cedar. We had the Omakase, which is a 5 course Chef's choice meal that varies per day. It was honestly the best sushi experience of our life, and not only was it incredibly delicious but it was also REALLY affordable at $45 per person! 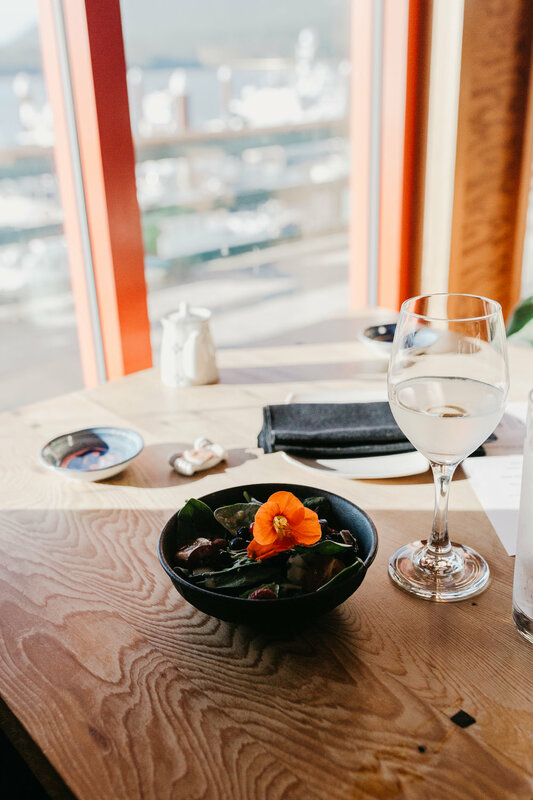 If you were to have this experience in the city it would be about triple the cost, so we definitely recommend this restaurant for your trip to Prince Rupert. 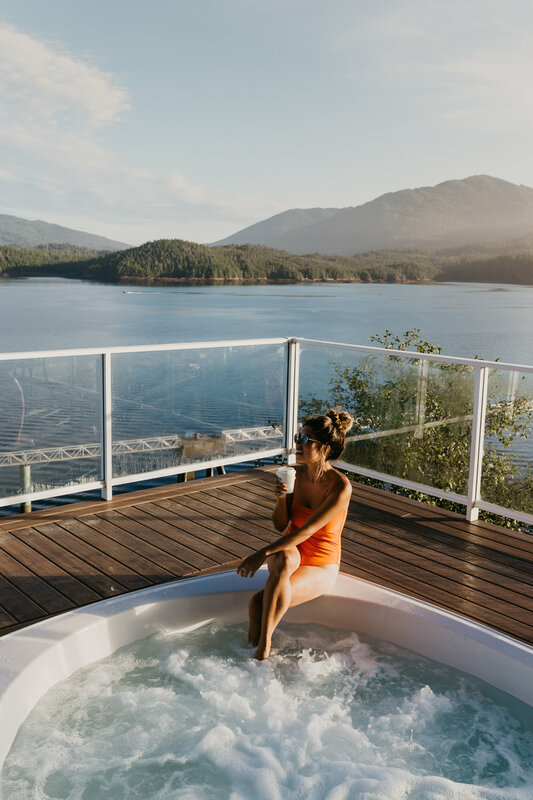 Now that we've talked about all of the shopping, eating, and drinking you can down in town, it's time to get to the incredible scenery surrounding Prince Rupert and Northern BC. This is a beautiful road trip destination, and we set off to explore the area on a short drive to the North Pacific Cannery. 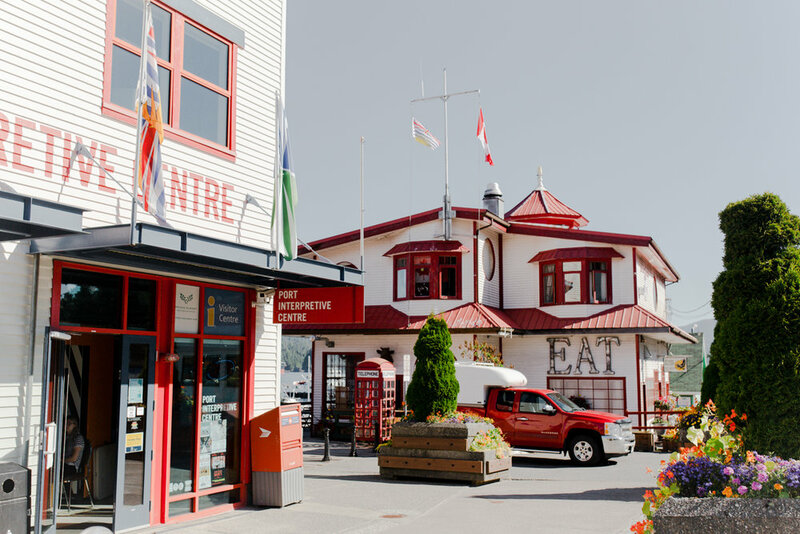 The North Pacific Cannery is located a short drive away in Port Edward, BC and it acts as a "living museum that illustrates the multicultural, isolated, industrial lifestyle of the West Coast fishery for the local community and the world to experience." There are daily tours, or you can wander through at your own leisure to learn about the important history of the longest running cannery in BC. 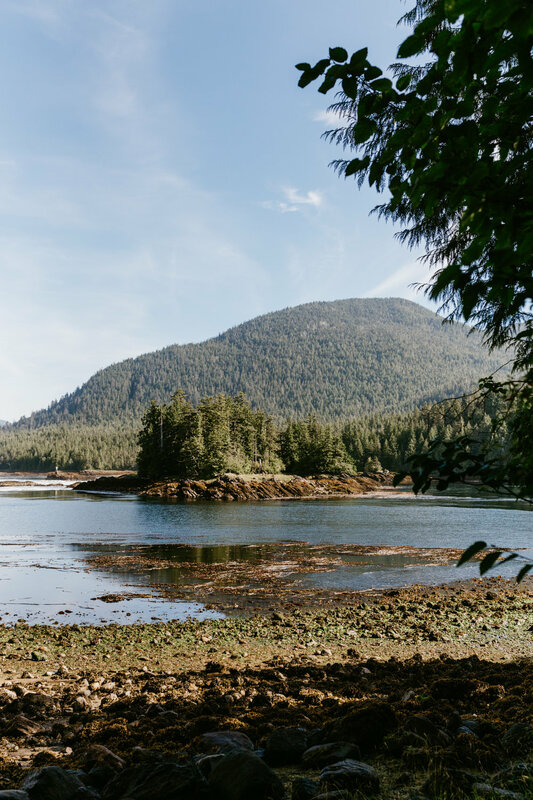 When it comes to adventure, there are a TON of options in Prince Rupert! You can check out a bunch of adventure ideas here, but we kept it pretty chill with an easy "hike" through the Butze Rapids Trail. It was more like a nice, long, walk so it's perfect for every skill level and is kid friendly too! Keep an eye out for this adorable rope swing as well, what more could you want on a sunny day? The reason why whale watching in Prince Rupert is so great and popular is because you are almost guaranteed to see a whale. While nothing is guaranteed when it comes to nature, there are a LOT of whales around here and we saw about 9 or more on our tour! We followed a pod of whales around and watched while they used "bubble netting" to catch their fish, which is rare and somewhat specific to this region. Basically, the whales were all jumping out of the water at the same time a lot and it was pretty epic. At the end of your tour they also share photos with you from their huge zoomed lens, which you can see below! Oh, and did we mention that we could see Alaska from our boat? Not up close but still...prettttty cool! 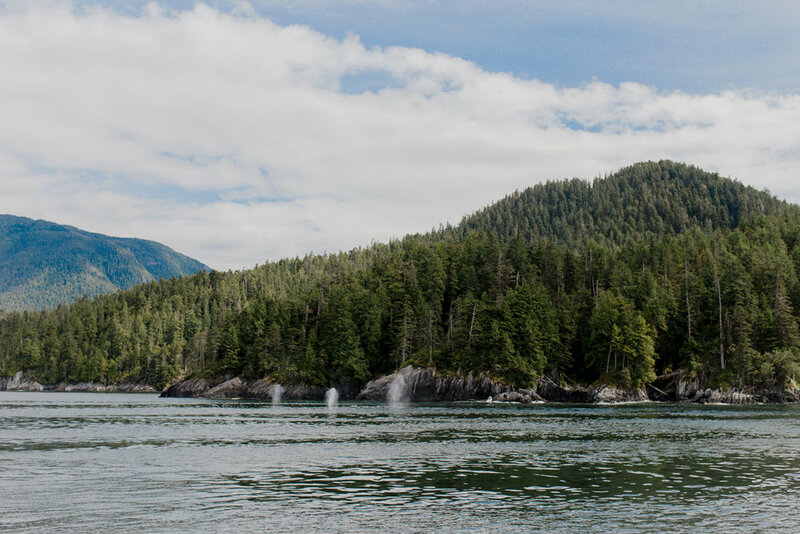 We highly recommend Prince Rupert Adventure Tours, like we said we have been on a couple whale watching tours before but this was WAY better than anything we've experienced so far! You can also go on a Grizzly Bear watching tour if you go earlier in the season, Prince Rupert is also home to the biggest Grizzly Bear Sanctuary. We had a very relaxing, fun, and adventurous weekend in Prince Rupert, BC! We highly recommend visiting if you want to get to know BC more, or if you're visiting Vancouver and want to get a taste of the real Canadian experience. It's a 3 hour flight from YVR Airport, so you can easily make it a great weekend trip. 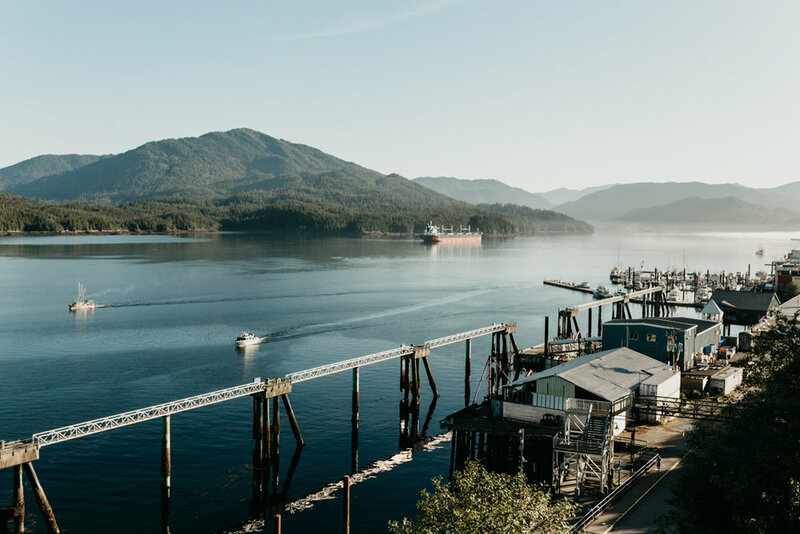 We're just scratching the surface here, so check out Prince Rupert Tourism for more things to do, places to explore, and restaurants to eat at! Looking for more travel inspo? Follow us on Instagram @localwanderer for our favorite places in BC and around the world! Thank you to Prince Rupert Tourism for hosting us for the weekend! What We're Packing for TIFF!